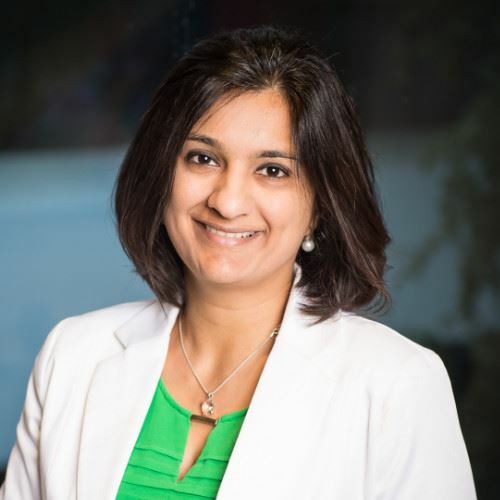 DFWTRN - DFWTRN welcomes Alishaa Chhabra June 6th presenting on “AI in recruiting” Are you ready for Wall-E? 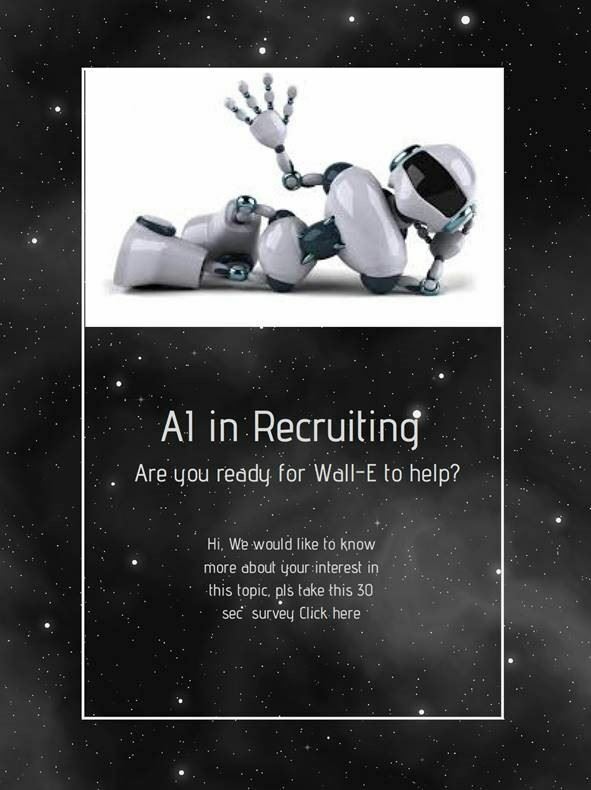 DFWTRN welcomes Alishaa Chhabra June 6th presenting on “AI in recruiting” Are you ready for Wall-E? AI in recruitment isn’t a prediction or a trend any more. It is already here and here to stay! Recruiting just got “smarter” - whether it is sorting through multitudes of resumes or social media profiles, analyzing vocal tone or facial expressions of candidates in video interviews or keeping applicants continuously apprised of their status in the hiring cycle, Artificial Intelligence (AI) is moving rapidly from experimentation to mainstream use in the recruiting world. But what is AI? Is it a friend or foe to a recruiter? Should we be concerned or excited about it? The topic for this June is to discuss 'AI in Recruiting' and help recruiters get more insight and familiarity with it. Please join us in this presentation to understand how AI may impact your recruiting efforts! With over 15+ years’ experience in HR and talent management, Alishaa has a strong background in talent acquisition strategy, operations & process excellence. In her past life, she has worked with global services companies such as Zensar Technologies & QualiTest and understands how resourcing issues impact business and the challenges faced by hiring teams. This hands-on familiarity has empowered her in implementing innovative talent strategies to not only meet customer’s hiring needs but also align them to the growth of their business over the long term. She also consults business leaders on a range of HR topics including recruitment process transformation, talent attraction through effective employment branding, diversity recruitment and building talent communities. Fueled by her passion in talent attraction and acquisition, at SNIPEBRIDGE, Alishaa is redefining the RPO model with a focus on productivity, results and positive impact on customer’s bottom line through customized recruitment services and value-additions. She is a trained PI analyst and has experience in several leading behavioral assessment tools for hiring. She has also undergone training with Venator Sales group for hiring sales professionals and is trained by the Social Talent Group (a Johnny Campbell’s company) on sourcing and has a black belt certification in sourcing. She volunteers her time through Taproot+ to help organizations on Recruiting and HR engagements. She also contributes to the recruiting community by being a part of The Recruiting Leaders Group and continues to learn about new technologies, tools, etc. by following Johnny Campbell, Matt Alder and many other noted experts. Updating her skills and learning about new products and trends is her passion and she is always eager to share her knowledge and help folks in the recruitment industry.